Are you in search of a cutting-tool for monetizing your website? If yes, we have a great solution for you. Here comes EvaDav– One of the best and reliable push notification platform. In this post, we have featured EvaDav Review 2019 that includes detailed insights of its pricing, features, functionality and more. EvaDav is an ad network for push notifications, a relatively new method for monetizing websites easily. Automatic notifications appear like as small pop-up windows on the user’s device screen (PC, mobile phone, tablet, etc.). If you still do not know, what actually is a push ad. Basically, Push ads like SMS we can say similar to an SMS message sent to a mobile device by third-party applications. Push notifications can be used to add value to your customers or fans: content, updates, coupons or urgent incentives for the user to get them back right on your website/application so that you can get more sales and conversions as well. In this post, we have featured EvaDav Review 2019 that consists of its detailed review of its pricing, features, functionality and more. So let’s get started here. EvaDav Review 2019: Is It The Best Push Notification Platform?? EvaDav is a client-oriented native advertising network that generally providing cutting-edge solutions both to advertisers and publishers who are basically integrated into a single platform. 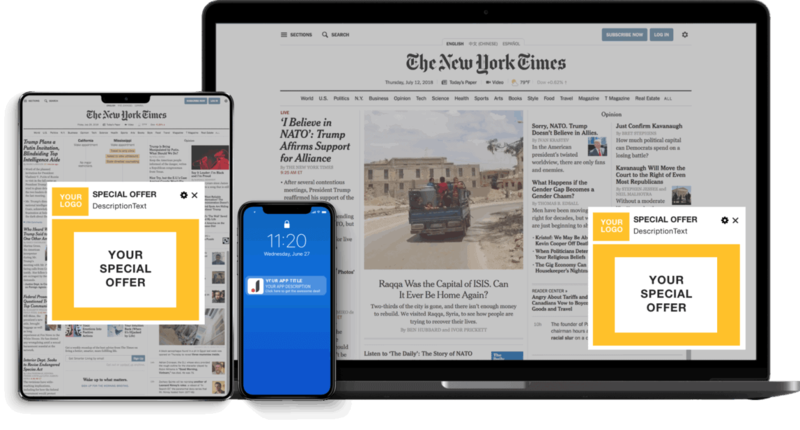 And the best part is that it also provides the best performance for the advertisers and embraces one of the most prospective markets of advertising formats – native advertising and push notifications. No doubt, they have taken push advertising to the next level. As here EvaDav has developed their algorithms to show their visitors only the most relevant and interesting ads for them. And this actually increases the likelihood of conversions, that truly indicates that you will get more revenue for you without putting that much of efforts. Although EvaDav is a new advertising network, it generally offers a variety of advanced features that other push-ads networks failed to do so. Some of these features include a simple registration and approval process, high-quality interest-based ads, minimum payments also followed by the fast payments, a self-service platform and an easy-to-use reporting system, detailed statistics, a hybrid account, a sponsorship program, etc. What Makes EvaDav Different From Other Push Ad Networks? EvaDav allows publishers to easily register and approve them so they can start immediately. After registering, you can easily log in to your account and create new ad units. However, these promotional widgets must be approved by the EvaDav review team before they can appear on your website. But do not worry, it generally approves all websites in a few hours, but approval may take up to a day. EvaDav offers users hybrid accounts, so you do not have to register for a separate publisher or ad account. An account does all the work for you. Simply register on this network and you will get an account for publishers and advertisers effortlessly. We all know that people do not like to click on items that don’t interest them. EvaDav has developed advanced algorithms that mainly allow the ad code to serve only advertisements that are of interest to its visitors. I would like to say without a doubt that EvaDav is a global advertising network and, therefore, accepts global traffic. No matter where the traffic comes from, you will get paid for it. 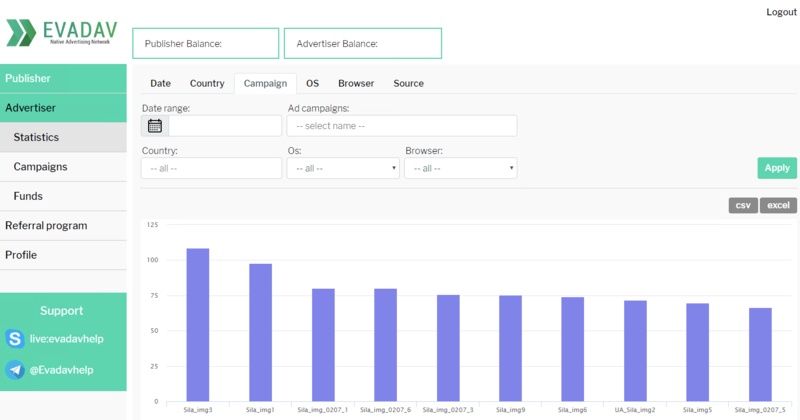 Unlike many other ad networks where the publisher has to wait months, EvaDav offers weekly payments and that quite impressive about this tool, Since they pay publishers every week, that’s pretty impressive. Each time you reach your minimum payment limit, you will be paid each week without any questions asked. And also they support multiple payment channels like Paypal, Bank Account transfer and more. EvaDav has a minimum payout of $ 25. With this minimum limit, publishers can reach and withdraw their income easily and securely. And that distinguishes EvaDav from other push notifications platforms. In fact, EvaDav offers the easiest way to increase publishers’ revenue as it is one of the best ways to monetize your traffic. EvaDav generally offers a new monetization format tailored to your site, such as: For example, push notifications, fast integration, quality content and the highest eCPM rate are the most attractive option for publishers for all the ad formats. The best thing about the EvaDav platform is that it connects first of all to a global advertising exchange of the best advertisers. It does not matter if the user visits your site or he/she found it accidentally on the Internet. You are going to get them as your subscribers. Steps To Get Started with EvaDav As Publisher? The process of getting started with EvaDav is very simple and easy to do. Here we have listed a simple step-by-step guide to starting using EvaDav as a Publisher. Let’s start here. This is a simple sign up process that will guide you through the process of creating the account to help you get closer to your income. In this step, you must now set up your account. The best thing about EvaDav is that they have a detailed video tutorial for configuring the account as a Publisher. Check the video below. However, if you are stuck somewhere, you can easily communicate with the support team to solve your problems. In this step, you have to select the conversion tool that is most effective for your type of traffic. Just add the code directly to your website and simply enter the payment method to receive the payment without any hassle. All Geo Traffic: They accept traffic from all over the world. Their advertisers offer advertising campaigns and offer adapted to all countries. High CTR: They generally offer the highest conversion rate in the market. Because they love to show customers that relevant advertising is based on internal analysis. Security for the Publisher: They generally offers 100% security to publishers. As their ads are from our domain that comes in a limited time and are not related in any way to the publisher’s website. Offer Weekly payments: They generally provide the fastest revenue generation in the market simply by providing publishers right with the most convenient and efficient tools to obtain higher income as quickly as possible. What Does EvaDav Offer To Advertiser? Discover new profitable advertising opportunities with EvaDav now. Typically, an insert notification format with high conversion, 100% brand security and full campaign targeting. EvaDav offers the highest conversion rate in the market. And best of all, it has an exclusive anti-fraud system and an effective algorithm to predict the public behaviour of its audience in a very simple way. Starting with EvaDva as an advertiser is easy. Make your ads more effective with EvaDav. Here I have listed a step-by-step process to start using EvaDav immediately. Let’s see that. Here you only need to register directly with a free advertiser account to receive immediate approval. In this second step, all you have to do is add money directly to your account so you can easily put your ads online. And now in this last step you should start optimizing your campaigns. All you have to do is configure and start immediately after moderation. Personal Account Manager 24 hours a day, 7 days a week. 100% brand safety: All advertiser creatives are controlled and verified manually using machine learning algorithms. And also they are approved manually as well. 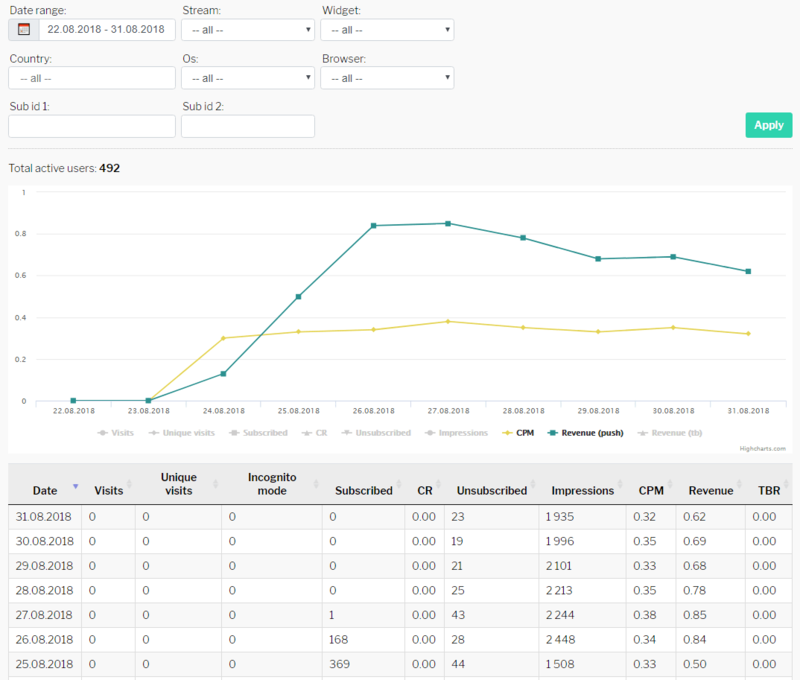 Highest CR/CTR: Now you can easily the effectiveness of your advertising campaigns by combining the best offers with the audience and that results in the highest CTR and CR. 100% security against fraud: No doubt, this platform solution automatically removes bots or suspicious activities, providing only real users and a live audience for their campaigns and that quite impressive about this tool. PREMIUM INVENTORY: Access premium publishers and the visitors that best suits and matches your offers. HIGH VOLUME: They have more than 50 million push ads that are published to advertisers every day, ensuring a high return on investment for you. What EvaDav Mainly Offers To The Advertisers? Accepted & Trusted by advertisers- They have actually more than 10,000 active campaigns per day. Approved by publishers – and the best part is that they have more than 60 million active subscribers. No doubt, EvaDav is the best and reliable Push Notification Platform where you can easily monetize your website traffic. So, what are you waiting for just getting started with this platform right away? Now make your ads more effective and compelling with EvaDav as a publisher. We hope this post suits your purpose well and it helped you in getting more insights into this EvaDav platform. What you liked about this EvaDav platform, just tell us by dropping a comment below. And if you liked this post, please share this on your favourite social media channels like Facebook, Twitter and LinkedIn.